Last edited by tjdouble07 on Fri Jun 29, 2012 4:21 pm, edited 8 times in total. WOW that was huge! Are you tryed how good that sits to under hood? Last edited by Conan on Sat Jan 12, 2008 3:25 pm, edited 1 time in total. When in doubt - increase boost. That is truely a BFT! I have seen NoShoe's setup on the mr2oc. Will yours be similar? Are you going to run more rpm's? good luck on the build. oh man, that thing is ginormous! how much boost will you be running with this set up? That is massive! What is actually the goal ur aiming at with this setup? Any link to a project this turbo has been used on a 3sgte? 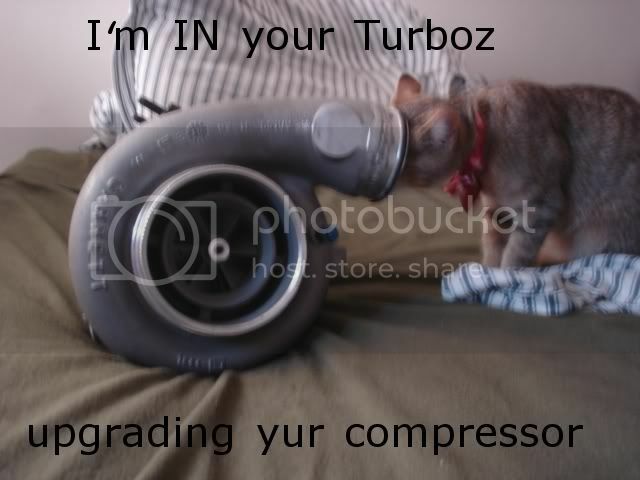 Olli wrote: Any link to a project this turbo has been used on a 3sgte? holy sh*t. i want one now. cant wait to hear how awesome it performs. Olli wrote: That is massive! What is actually the goal ur aiming at with this setup? Any link to a project this turbo has been used on a 3sgte? What's my goal? I'm not totally sure yet. Just know I would like to be able to run mid 10's on a full interior, full weight All-Trac. The only thing being ditched so far will be the AC. As far as links to setups of people running the GT42r, here are a few MR2's running GT42r's, but as stated above, the only alltrac that's pubicly stated running one is that drag car in Russia. I know No Shoes will be running one in his MR2 with a custom kit Kris at KO is doing for him, and you can see pics on koracing.net here: http://koracing.net/gallery.php?folder=46 . As far as other MR2's, you can go to mr2oc and go to the MR2 Dyno Registry and see the dyno video of Jeffrey Burke's 808 WHP MR2 on a 42r. Some sick numbers ur aiming at! I have to say I like the idea of keeping it kind of a street car. This really is a nice project to follow.